Created to provide helpful information about the Minnesota Marijuana Industry. What are the conditions that qualify for a medical marijuana recommendation? or severe vomiting, or cachexia or severe wasting. Seizures, including those characteristic of Epilepsy. those characteristic of Multiple Sclerosis. Inflammatory bowel disease, including Crohn’s disease. How much cannabis can a patient possess? What are the fees associated with a medical recommendation in Minnesota? The patient may indicate that she or he would like a caregiver(s) assistance with the medical cannabis. If his or her health care practitioner agrees, the health care practitioner will check the box in the patient’s account allowing for a caregiver. Once certified, the patient will have the opportunity to enter contact information for the caregiver, including email. Government-issued ID: state ID, driver’s license, or passport (scan or photo from phone). Upon completion of the caregiver submitting the online registration via an email link that is sent to them, and mailing the completed background form and payment to the proper address; the caregiver will be notified by email once he or she has passed the background check. At that time he or she will be able to assist the patient in obtaining and dispensing medical cannabis. The caregiver will be asked for proof of identity at the Cannabis Patient Center when picking up their patient’s medical cannabis. What are the fees associated with becoming a Caregiver? 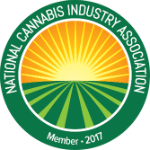 Manufacturers, sometimes called cultivators or growers, are responsible for producing and processing medical cannabis. There are 2 active manufacturers in Minnesota, the state has not indicated if or when more manufacturing licenses will become available. What kind of tracking system do I need to operate a Manufacturer Facility? Most states require an extensive seed-to-sale cannabis tracking system to monitor cultivation efforts and inventory. Our cultivation seed-to-sale-tracking solution provides comprehensive data tracking with an emphasis on compliance. Customized to meet the unique regulatory frameworks in each state, BioTrackTHC also features an all-in-one business tool to help you operate every aspect of the cultivation business by itself, or as part of the vertically-integrated cannabis business. There are 8 locations, known as Patient Centers, that serve as distribution centers for Manufactures. The state has not indicated if or when more Patient Centers will become available. What kind of point-of-sale do I need to operate a Patient Center? Most states require dispensaries to track and trace all of their cannabis-related products for regulatory and compliance reporting requirements. Our Dispensary Point of Sale and inventory management system provides comprehensive seed-to-sale cannabis tracking with a focus on compliant data points. If your state requires seed-to-sale systems to stay compliant, BioTrackTHC has you covered. Our system is customized to meet the unique regulatory frameworks in each and every state. conducting inventory reviews and comprehensive inventories of plant material and medical cannabis. Manufacturer’s must maintain records on virtually all aspects of their business for at least 5 years and make them available to the commissioner upon request. For the latest cannabis-related legislative updates on Minnesota, check out our Cannabis Bill Tracker! MINNESOTA SUCCESS STARTS WITH CONTACTING US!